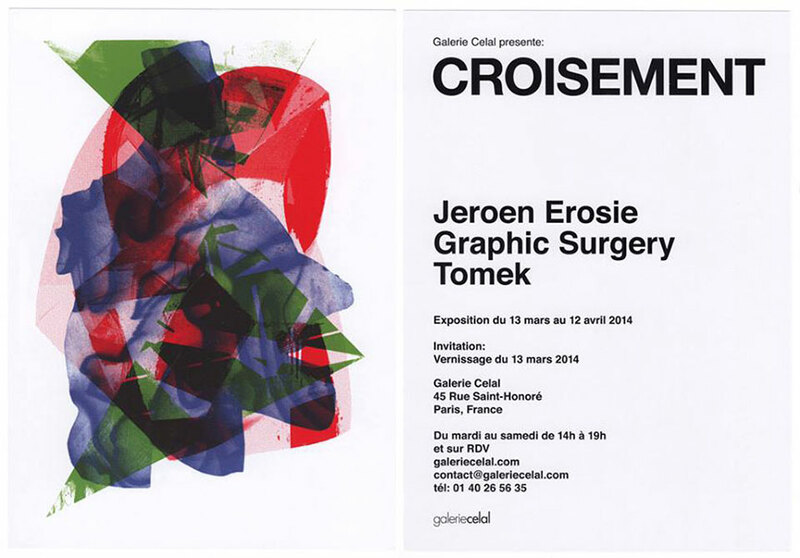 A great 4 man show is opening on March 13th at Galerie Celal in Paris with the works of the duo Graphic Surgery, Erosie, and Tomek. 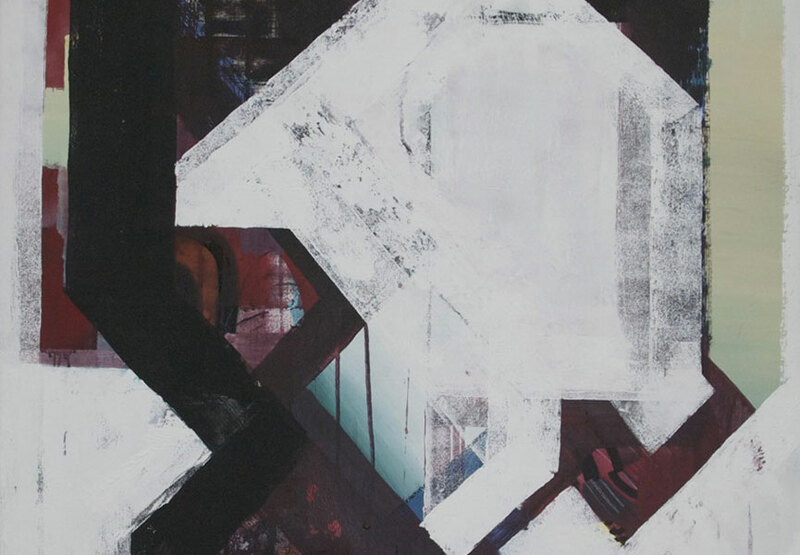 The exhibition is titled “Croisement” and represents a junction of three different aesthetics with the same background in graffiti and urban art. The exhibition focuses on the similarities and the differences between the work of Jeroen Erosie, Graphic Surgery and Tomek. The exhibition will run until April 12. Besides their shared background, they have a similar working method, embracing a friction between conceptual restrictions and intuitive freedom. They share the idea that it is important to push the result of the work to the background, looking for new and other territories. Each of them has a past and a present on the walls of the cities they encounter. This triggers them simultaneously to grow away from that in their studio works. Despite these overlaps, the outcome of their creative process is significantly different. 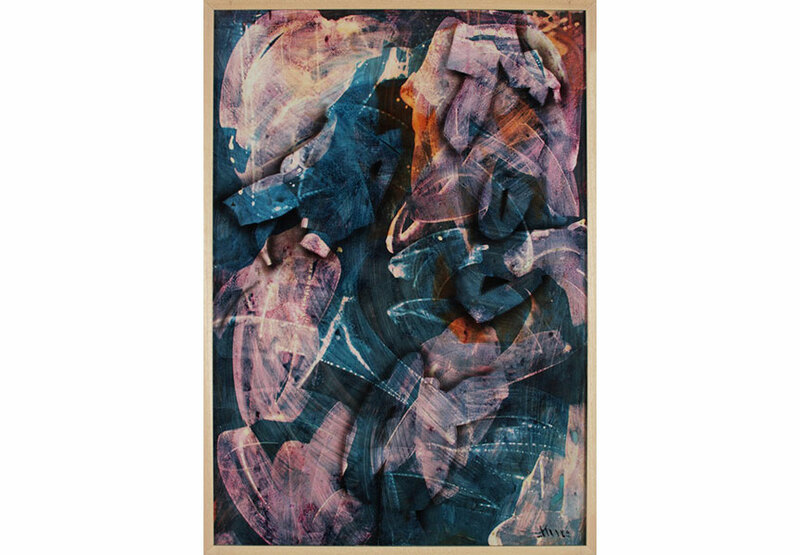 This exhibition is the opportunity to cross those different aesthetical creations, results from research and experiments, in which the main rule is to re-­‐explore the concepts linked to a certain idea of freestyle. Graphic Surgery duo was formed over 10 years ago when both artists (Erris Huigens and Gysbert Zijlstra) realized they were photographing the city in a similar way. 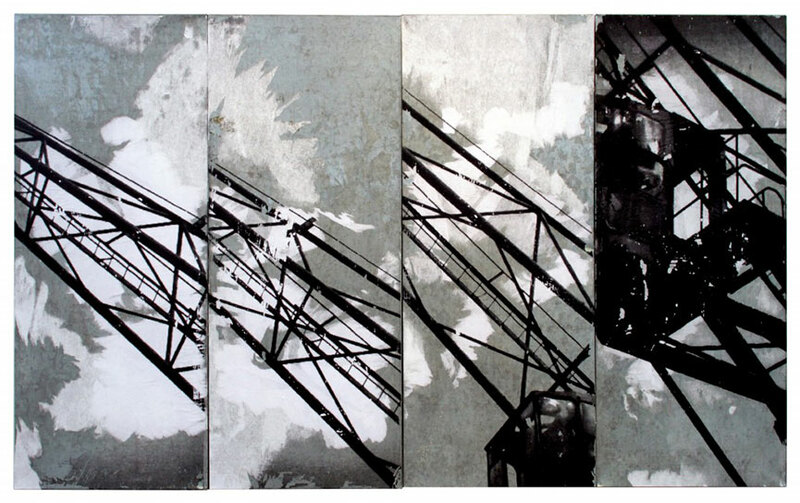 Their work derives directly from the aesthetic of elements relating to constructing and deconstructing the urban landscape. Operating between architectural concepts, graphic art and constructivism, each work turns out to be an urban kaleidoscope. Tomek is playing with the diversity of techniques and the distance between the paper and the glass of the frame. Erosie follows various aesthetic forms and plays with different techniques. When he was drawing bikes in the streets, the result was at the same time a sign coming from calligraphy, lettering, design, comics and graffiti.